Our Buffalo Wing flavour is a crowd pleaser! 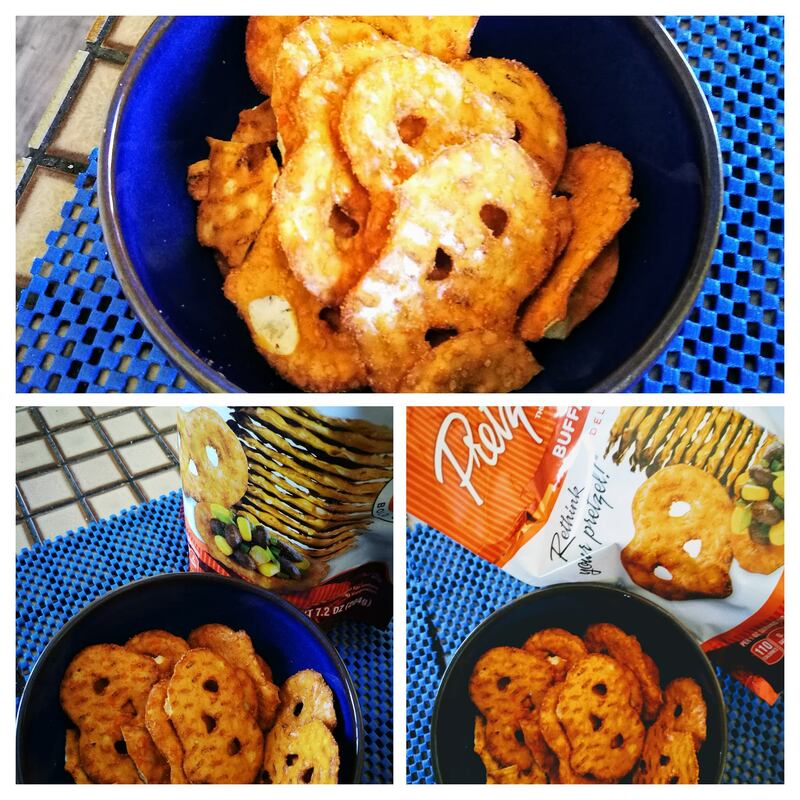 Everyone loves the spicy flavour sprinkled right on top of each crisp. Try Buffalo Wing with ranch dip, blue cheese dressing, cheddar or cream cheese spreads, and as a zesty partner for celery sticks. Or, enjoy the "just right" baked-in flavour axs a hearty crunch all by itself! I loved the sound of buffalo wing Pretzel Crisps as a nibble before a bbq. This was the reason I got a packet of these to snack with friends. To be honest they looked so nice and I was looking for a quick snack in the afternoon so I opened the bag (knowing they were resealable) to test them out in advance and I was not disappointed. The packaging was good to open but I did notice the top ripped a bit and next time I would probably cut them with scissors if I knew I was not using the whole pack. There actually felt like a huge amount of crisps in the packet which was a welcome surprise after some disappointment in past with huge packets of snacks being half filled. The smell was fresh and not too synthetic. The look was great for a casual dining set up and I will be getting them again. 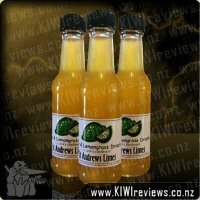 I was very impressed by the coverage of the flavour, none of this "looking for the one with the flavour stuck to it". They were all pretty much evenly flavoured. There had been a fair bit of breakup and destruction in my opinion and if I was to buy them again I would make sure I put them clearly with the fragile chips, bread and eggs bit of the groceries. I guess that is what happens when you don&apos;t fill the pack with air. I loved the orange colouring of the packaging as it reflected well the strength and power than was packed into the crisps - not for the fainthearted was my conclusion. 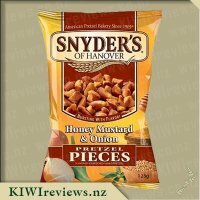 We didn&apos;t serve them at all with toppings as the packaging suggested as they seemed a bit small for that given the holes but I would definitely put a creamy dip on the side for those who don&apos;t like a strong snack. These are not rice cracker light they are more like a strong cracker taste. After my husband and I had a test drive with a little bowl which I loved and he only took a few saying they were too salty and strong for him we took the rest to a shared bbq with friends in the evening. 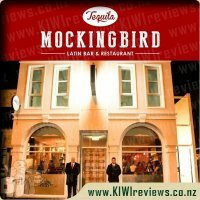 I was surprised how well they went down with the slightly older folk (60s-70s parents) who seemed to prefer them to chippies or nuts or rice snacks. They were not a hit as much with the kids but that is probably the texture being a bit more cracker than a chip. I would get them again for the novelty factor and that a couple of people said they tasted less oily and heavy than a lot of the chips etc. I wonder if they would be improved by a good dose of ranch style creamy dip in future though. 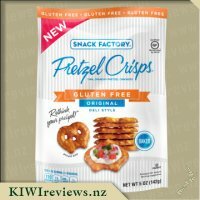 I will definitely be buying these again for Christmas for a slightly different snack but will keep the packet after serving so those with allergies can check them next time which was a mistake on my part. 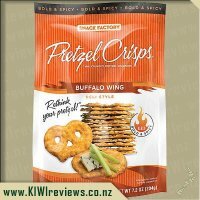 I was pretty excited when I saw I had gotten a packet of these Buffalo Wing flavoured Pretzel Crisps for review. I&apos;m a big fan of junk food and really enjoy trying new things and these Pretzel Crisps looked like just the kind of thing I would love. The packet is well designed with a resealable top so you don&apos;t have to eat them all in one sitting, although that is hard to avoid with how moreish they are. I decided that the best use for these would be in a cheese platter at a family gathering with some other crackers, pesto, hummus, salami and some cheese. 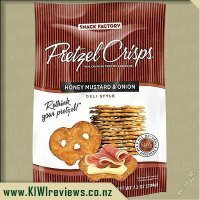 First I tried one on it&apos;s own without any toppings and thought it had a good flavour, it tasted just like a pretzel but with a chicken type of flavouring added. Next I decided to try it with some hummus. Because the pretzel is very solid it didn&apos;t break in the hummus dip which is awesome, I hate it when my chips break apart in hummus or dip and then you have to try and fish out the broken bits but with these pretzel crisp I didn&apos;t have this issue. I also tried this with some cheese and salami, although it tasted really good, I found that when I tried to take a bite I had to squish the cheese down in order to break through the pretzel because it&apos;s so solid but next time I think I&apos;ll just break the pretzel in two first and eat it with cheese that way. 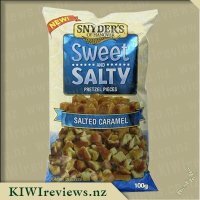 The rest of the family also really enjoyed these and they were the first item to go from the platter but luckily the packet is a good size and there were plenty more to add. My daughter had barely finished her first crisp before grabbing another and my son didn&apos;t even wait until the first was finished, he just grabbed a handful and walked off so I think it&apos;s safe to say that they were a winner here! To be honest, this is actually a flavour of pretzel crisps that I don&apos;t like. The crisps had quite a spicy, and sort of smokey flavour, it was was the smokeyness that I liked the least. I&apos;m not sure exactly what it was about the smokeyness that I didn&apos;t like, but whatever it was, it just had a somewhat unpleasant aftertaste that did affect things. However, these issues weren&apos;t big, while they weren&apos;t my favourite, these crisps were still a nice snack, I just prefer the Garlic and Parmesan ones more. Like with most of the snack stuff I get to review, I ate these crisps before I did anything with them, so it is apparent to me that these are good for those who just like to have a ready supply of snack foods, I know that when I go to the movies, I can&apos;t resist having something to snack on while I&apos;m there, so these would be perfect for that. One thing I hate about the normal potato crisps is they are just sooo greasy, and that grease just gets all ver my hands and mouth, not to mention they make me feel all bloated and lethargic. These crisps, however, don&apos;t do that, they feel more natural, and are thus more appealing to me. 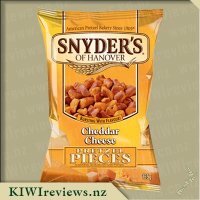 While these crisps weren&apos;t the best, I did still enjoy these, and would like to have them again, so I would still give it my full rating and recommendation, it just isn&apos;t my first preference, that&apos;s all. Sitting down to watch a movie decided to make a night of it and include a mid-time snack. 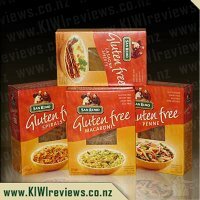 After having a nice cheese pasta earlier in the night and sipping on some Nectarine Juice I thought a bit of spice would add nicely to the night and these seemed like they would be perfect. Considering there is only 2% fat per serving it made me feel that little bit healthy and that I wasn&apos;t really being naughty. Also with my cholesterol levels a bit high this is perfect as it doesn&apos;t add to my levels. The bag is so easy to open. I love any company that has the fore-thought to make the bags resealable. Not everyone can eat a whole bag and there is nothing worst then hunting for a rubber band to tie the bag with. It closes just as easy as it opens. I expected a smell to hit me as soon as I opened it and was a tad surprised that even when I took a whiff there was no real scent. 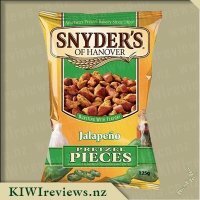 They are great snack size and although we ate them straight from the bag I could envisige adding a nice dip to them and as they are level and not bumpy you could also add toppings to them. A little really does go a long way and we both hardly touched them. Not because we were not enjoying them but because they are so filling and they were just perfect to fill that little gap. I liked after eating a couple you felt your lips tingle and you could taste the coating. Although not as stronger taste as I would like they were still very pleasant. 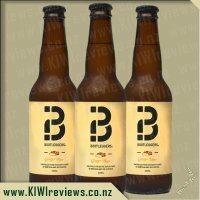 I do think the price is a little excesive, but I am keen to trial the other flavours. Would definitely consider purchasing if they were on sale. In saying that these really would be perfect for when you have house guests and you don&apos;t want to serve the cheap chips. 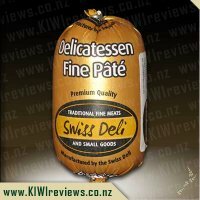 definitely has the potential to be made into something great with a little time and forethought thinking a nice humus with cheese. 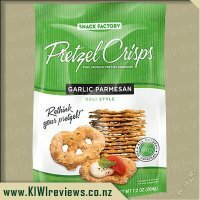 We fell for Pretzel Crisps while I was at the Great New Zealand Food Show recently. We bought a couple of different packets of them. Then when the chance to review other flavours came up, I jumped at the chance. My husband and his friends really enjoyed the chipolte flavoured ones I got. So I figured another spicy flavour would probably go down a treat. When I first opened the buffalo wings flavour, I was just trying it out on the kids. I opened the packet very easily (and I love the resealable quality of the bag!). I handed half a pretzel crisp to each child thinking they would be quite hot. Both of my children loved the taste of these and begged for more. So I tried it, wondering if maybe they got one with less spice on it. The heat on these is nowhere near as spicy hot as the chipolte ones. They are pleasant chicken flavoured and were a huge hit with both kids and myself. I wasn&apos;t sure what the boys would make of them given the reduced spice-factor. So I put a bowl out a few days later on game night. The pretzel crisps were still beautifully crunchy. The bowl was empty in seconds. They all got a good handful and were talking about how great they tasted before they even swallowed one. 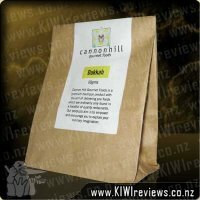 My husband was completely sold and asked how many bags I had bought of that flavour. Imagine his disappointment when he concluded that I hadn&apos;t bought any of these. He would have liked a few more bags in the cupboard to crack into later. 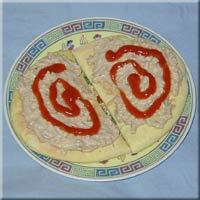 We enjoyed the remaining pretzel crisps with some cream cheese and some sweet chili sauce. That&apos;s our favourite party snack, usually with rice crackers. But the pretzel crisps are great for using like crackers. My daughter says they are like pretzels that have been flatten to pancake cracker shape. I think she has hit the nail on the head and they are a winner here!